Fresh from its Paris motor show debut, Mercedes-Benz has announced UK prices and spec details for its second-generation GLE, on sale now. The BMW X5 rival is priced from £55,685 in GLE 300d 4Matic form, which replaces the old 250d. It features a 2.0-litre four-cylinder diesel engine making 242bhp and 369lb ft of torque, powering the SUV from 0-62mph in 7.2sec and on to a top speed of 140mph. Claimed economy figures are 46.3mpg combined and CO2 emissions of 162g/km. Standard kit on all GLEs includes Mercedes' new MBUX set-up, featuring two 12.3in displays and the Interior Assistant, an advanced voice control system. Also included is 20in AMG alloy wheels, active high beam assist, blindspot monitoring, privacy glass and heated leather seats. The sole petrol option at launch is the GLE 450 4Matic, priced from £62,300. It's powered by a 3.0-litre six-cylinder petrol engine using the brand's 48V EQ Boost mild hybrid tech, producing 362bhp and 369lb ft of torque; 0-62mph is quoted at 5.7sec and the top speed is 140mph. Economy of 33.6mpg is quoted, while it officially emits 191g/km of CO2. The 450 builds on the standard kit list, with the seven-seat equipment line as standard. As well as the extra row of chairs, it brings electrically adjustable rear seats, extra USB ports and four-zone climate control. The petrol-powered model also features an advanced suspension system as standard, surpassing even that found on Mercedes' flagship S-Class. There will also be a plug-in hybrid variant with a “particularly long range” – thought to be more than 50 miles on electric power alone. The new suspension system is a more advanced version of the Magic Body Control found on the S-Class. It is the first on sale where the spring and damping forces are individually controlled at each wheel, counteracting not only body roll but also pitch and squat. Mercedes claims the GLE’s 4Matic all-wheel drive “ensures great agility on road and superior performance off the beaten track”. The system controls the torque distribution between the front and rear axle from 0% to 100% depending on the driving mode. The optional Offroad package has fully variable all-wheel drive with low and high range available, a feature that Mercedes says is a world first. The GLE uses the car maker’s MHA (Modular High Architecture) platform. which is heavily related to the MRA (Modular Rear Architecture) platform that underpins the C-Class, E-Class and S-Class. However, the MHA has been created to ensure a high ground clearance for SUVs. The model has more space than its predecessor, with a considerably longer wheelbase at 2995mm, an increase of 80mm, which means second-row leg room is increased by 69mm to 1045mm. The second row of seating is fully adjustable electronically, controlled by a switch in the door panel. The GLE is also offered for the first time with the option of a third row, adding two extra seats. The interior includes two 12.3in digital displays as standard, as recently launched in the new A-Class. There is a multi-function steering wheel with touch panels and a larger touchpad in the centre console replaces the rotary dial on the outgoing GLE. The instruments and infotainment system operate via the MBUX (Mercedes-Benz User Experience) interface that supports conversational speech and information gathering via the Mercedes Me app. The GLE also introduces the latest generation of Mercedes’ driving assistance systems, including Active Tailback Assist, which recognises tailbacks early on and reduces speed to 62mph as a precaution. Once in the tailback, the car can autonomously keep in lane and maintain a safe distance in speeds of up to 37mph. A GLE 63 variant and GLE Coupé will follow the launch of the GLE, as will additional engine variants. Expect to hear more about those models next year. All this electric crap being thrown on cars will make them irreparable scrap in little more than 5 years. Imagine the cost of replacing the instrument screen in 5 years, as will surely be needed? My 2007 CLS63 needed a new headlamp unit in March 2016 at a cost of £1300. That replacement unit has just failed again, out of warranty. MB has offered a 15% contribution towards the current bill as a gesture of goodwill. But in essence they are saying it is acceptable that their crappy components fail after 2 years. So stay away from these Christmas tree nightmares. It looks miles better than the current model but then that wasn't hard. It looked awkward, clumsy and fussy, especially around the rear wheel arch and back. This new model, while evolving the current model's looks is better and more cohesive but it's still no looker IMO and is still miles of the 2nd ML which I think looked, and still looks, great. At least the interior of the new GLE looks good, tidy, restrained and classy I was expecting something chintzy and bling following the latest A-Class' tablet/vodka bar looks. I agree Lanehogger, this is a much betterlooking ML (GLE). The second generation W164 was the best looking, I still have my ML500 version of this model which looks great in Cubanite with tan leather. Unlike Sundym , I am pleased that they have retained the distinctive C pillar which goes back to the original W163 (my old W163 ML 500 is still in the 'family and going well with over 250,000 miles by the way). The third gen W166 was a styling disaster, with looks only a Ssangyong buyer could love....witnessed by this early update. I agree with eseaton.....avoid all the hi-tech frippery, it will go wrong and effectively 'write the car off early in its life' through uneconomic repair. Steel springs, standard dash, large volume Vee formay petrol is the way to go to avoid headaches, if, of course, Mercedes-Benz will let you order such a spec! ....you need your eyes tested...soon! It's tech for the sake of it, 2 foot of LCD distraction to be precise. Why - maybe the 'premium' boys have no where else to go, by that I mean pretty much every mid-level car has sat nav, touch screens, air con, electric windows, cruise, heated leather, they reliable, quiet, fast enough etc, where can the Merc go? It's currently a German car company trait where seemingly all their new models must now feature massive screens and reduce the button count too and feel and look more like a PS4 or the starship Enterprise rather than a car. Not just German, Volvo are one of the main proponents of the minimalist, everything on a screen principle. Strange for a company who used to be so concerned with safety. 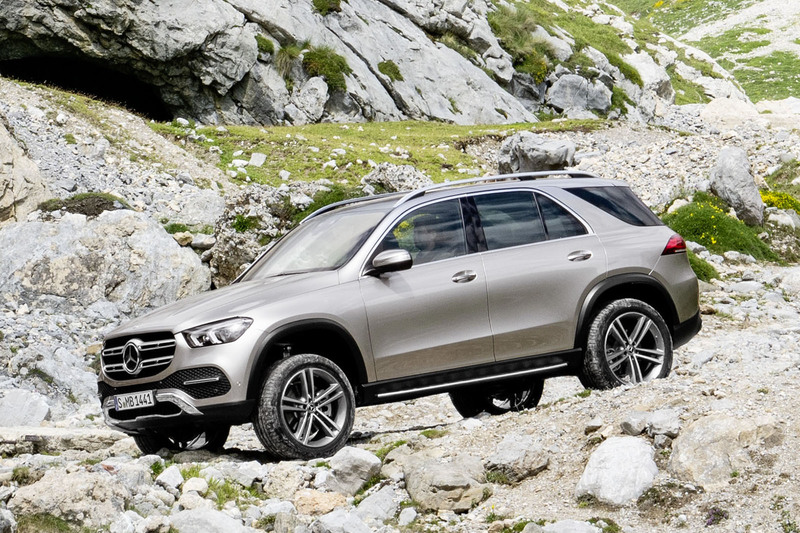 Yet another SUV from Mercedes that won't be giving Land Rover sleepness nights. In fact after seeing this, and the way it looks inside and out, they'll be rolling about laughing. 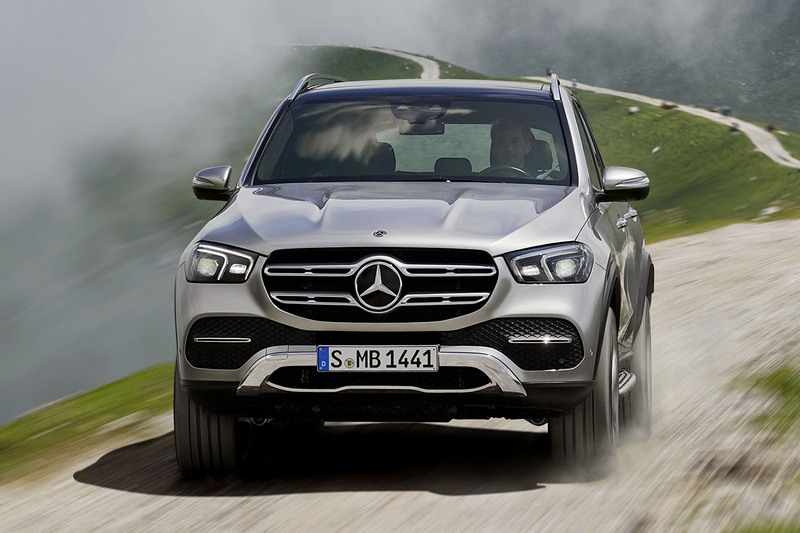 Class, prestige, desirability and appeal, traits which this new GLE has none of. I agree with one of the comments above in that it looks better than the old one but then that wasn't hard while this new one is still miles off the appeal of a RR Sport, Discovery or Volvo XC90 for example. Especially that awful interior which looks cheap, tacky and just odd, particularly with that stuck-on tablet style look. Is it hard for Mercedes to take a leaf out of the XC90 and RR Sport's book and produce something that is elegant, classy but still feels special and modern?